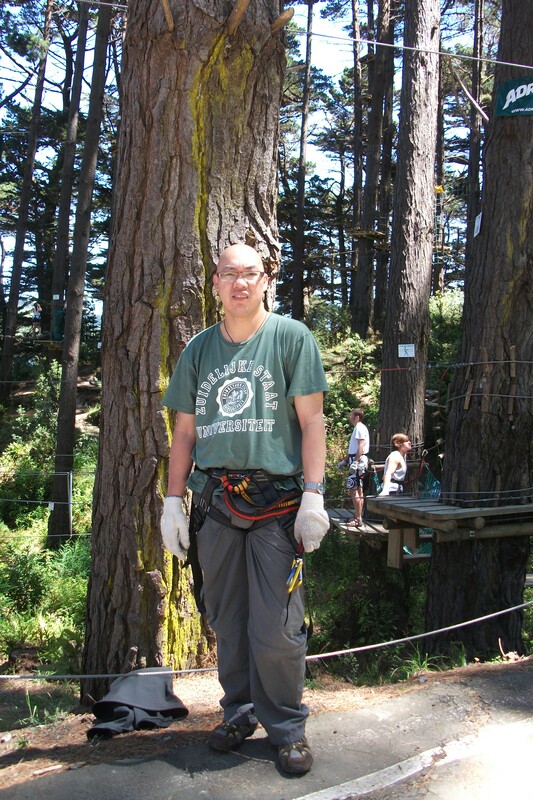 Last Tuesday, we went to Adrenalin Forest in Porirua City , about 20 minutes drive north of Wellington. As we celebrated my wife birthday . Adrenalin forest was created in France in 1995 by a retired Army officer, the concept is inspired by his extensive use of army training courses to provide a fun and challenging experience. There 6 pathways and each pathways consist of a number of challenges varies in height. We went their around 10am and the ticket cost $38 for adult and $25 for children or a family pass of $107 (2 Adult + 2 children under 18). I started my adventure with my son on pathway 1 (Discovery), a easy and low as warm up with 10 challenges less than 3 meters high. 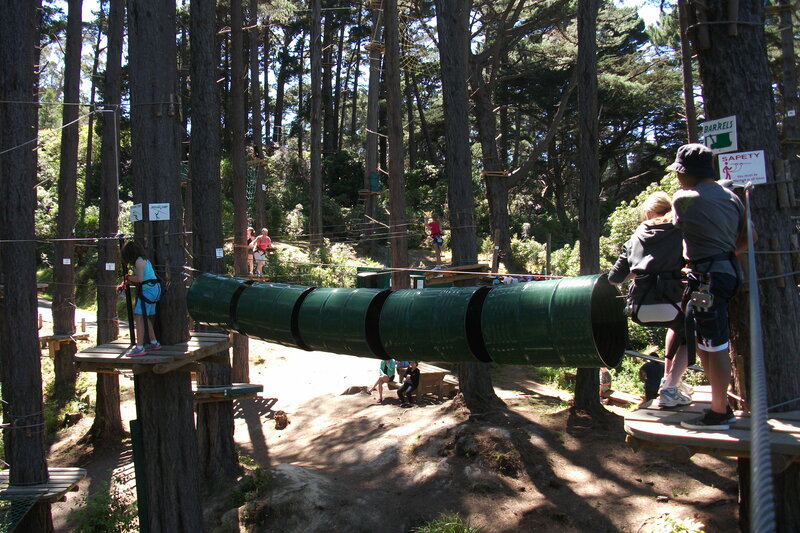 For less than 20 minutes, we went to stage 2 (Adventure pathway) still easy but a bit higher around 7 meters high with 13 challenges includes Indiana jump, the barrels and the flying fox. I remember my old days with Red Stallion mountaineering club, we used to do these kind of things like rock climbing among others. But, I think I’m getting older with this concept however I still enjoy it bonding with my son despite my back is a little bit hurt . ha! ha! ha!. After 25 minutes, we went to Pathway 3 (Excitement) and Pathway 3a (Excitement+), a 12 meter and 15 meter high with 17 and 18 challenges which my son and I takes an hour to finished this stage. The most exciting challenges are the balance rope and the crossed logs that takes me more than 25 minutes to pass and thrill of the commando flying fox. If you doing the pathway 4 (thrill) , more strength and agility will be needed , a 21 meter high with 19 challenges mainly on commando flying fox , zigzag rope and the snowboard. 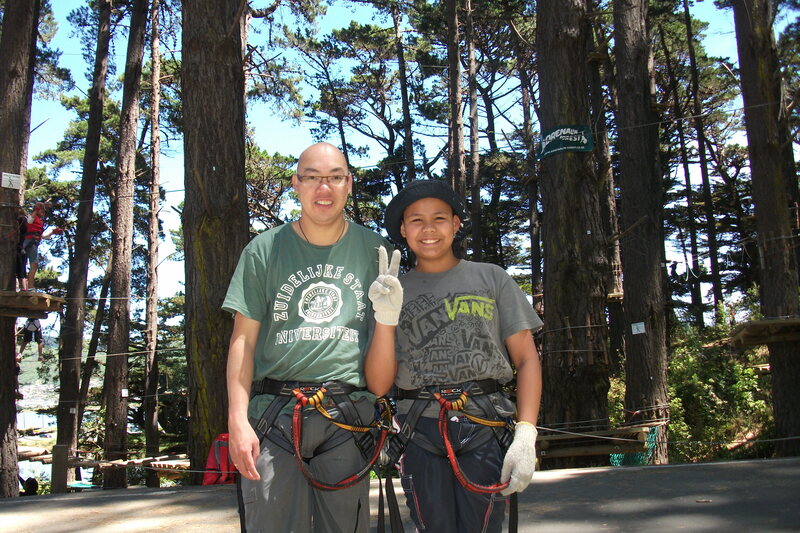 Unfortunately, we didn’t finished the entire challenges because my son got scared on height. On a bright side, we enjoyed and I’m proud of my son for his courage and determination to finished it. If you want to test against gravity , balance and agility . 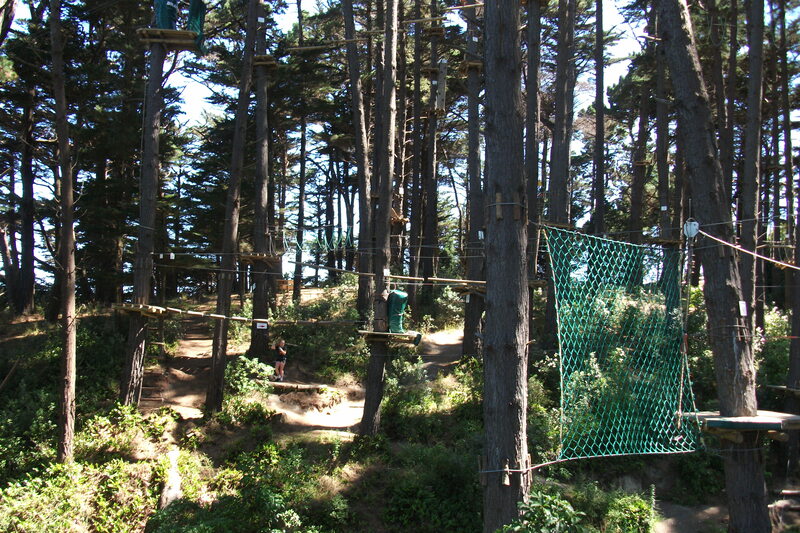 You can check out the Adrenalin Forest in Porirua City , a fun entertainment for the whole family or as part of a group.